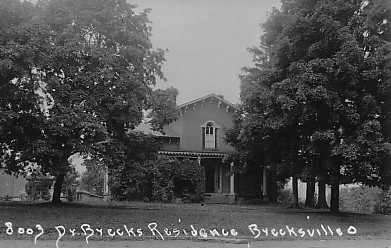 The City of Brecksville was founded in 1811. It was incorporated as a village under the laws of the State of Ohio in 1921 and attained City status in 1960 by virtue of its population exceeding 5,000. It is located in Cuyahoga County in northeastern Ohio, in the heart of rolling woodlands approximately fifteen miles south of the City of Cleveland. The City covers 19.54 square miles. In the year 2010 the U.S. Census Bureau reported that Brecksville had a population of 13,656, up from13,382 in 2000. 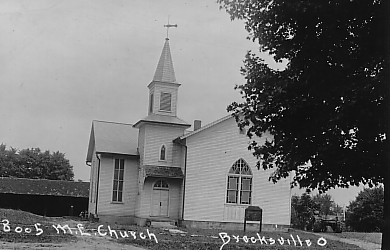 Brecksville is a community of the Western Reserve, founded in 1811. 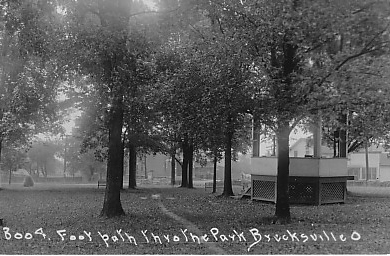 Colonel John Breck and several partners purchased the land now known as Brecksville in 1807. They sent a group of men to survey the land and prepare it for settlement. One of these surveyors, Seth Payne returned in June of 1811 to settle with his family and act as a land agent for Colonel Breck. In that same year, six other families came to Brecksville and then shortly thereafter, more families settled. Colonel Breck never settled in the town that was named after him, however, his three sons did. The last member of the Breck family to settle in Brecksville was Dr. Theodore Breck, a great grandson of the Colonel. He practiced medicine in the Breck home on public square until his death in 1934. 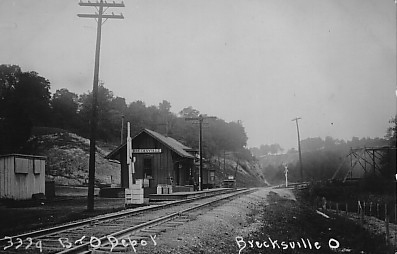 Brecksville was incorporated as a village under the laws of the State of Ohio in 1921 and attained City status in 1960 by virtue of its population exceeding 5,000. The City of Brecksville was founded in 1811. It was incorporated as a village under the laws of the State of Ohio in 1921 and attained City status in 1960 by virtue of its population exceeding 5,000. It is located in Cuyahoga County in northeastern Ohio, in the heart of rolling woodlands approximately fifteen miles south of the City of Cleveland. The City covers 19.54 square miles. In the year 2010 the U.S. Census Bureau reported that Brecksville had a population of 13,656, up from 13,382 in 2000. Legislative authority is vested in a seven-member City Council which is elected at large and whose terms are staggered. Four Council members are elected at each regular municipal election in November of odd numbered years. The City of Brecksville's chief executive officer is the Mayor who is elected by the voters for a four-year term. The Mayor appoints, subject to approval of Council, the directors of the City's departments except for the Director of Finance, the Law Director and the Clerk of Council, all of whom are appointed by Council. Mayor Jerry N. Hruby was re-elected to an unprecedented eighth consecutive term as mayor in the November general election in 2016. Mayor Hruby is the only mayor to be elected to eight consecutive four-year terms since Brecksville became a village in 1921. The City's Service Department works hard to respond to the needs of the residents, providing curbside rubbish and recycling collection, street maintenance, snow removal and maintenance of City recreational facilities, among other services. The Department is responsible for an annual, aggressive road repair and maintenance program. Security of one's person and property is foremost on the minds of our full-time Police Department and Fire Department. Brecksville takes pride in its low crime rate and rapid response by both police and fire units. Water service is provided to City residents by the City of Cleveland and sewer services are provided by the Northeast Regional Sewer District. Certain water lines and sewer lines are owned and maintained by the City. Residents have a variety of nearby transportation options because Brecksville is uniquely located "At the Center of It All." By automobile or by connections through downtown Cleveland on the Regional Transit Authority bus and rail lines, one can reach all areas of Cuyahoga County conveniently. State Routes 21 and 82 bisect Brecksville and there is easy access to interstate highways. I-77 and I-80, which is the Ohio Turnpike, both criss cross Brecksville. I-480, an east-west interstate is just 6 miles north of Brecksville. Amtrak cross-country rail service is available in downtown Cleveland, and Hopkins International Airport is located about fifteen miles from Brecksville. Entertainment abounds just a short distance away for residents of Brecksville. In downtown Cleveland, the Cleveland Browns of the National Football League play in their spectacular Browns Stadium. Progressive Field is the home of Major League Baseball's Cleveland Indians. The Cleveland Cavaliers of the National Basketball Association, play at Quicken Loans Arena which is also a venue for concerts by major recording artists, the circus, ice shows, and a variety of other professional attractions. Cleveland State University's Wolstein Center is home to the Cleveland State University Vikings and even more concerts and shows. In the summer, a trip to the verdant setting of Blossom Music Center is a musical must. Just a short drive from Brecksville through the Cuyahoga Valley National Park, Blossom is the summer home of the Cleveland Orchestra and a venue for the biggest music stars touring the planet. Residents have access to many cultural attractions such as the world-famous Cleveland Orchestra at Severance Hall, The Cleveland Museum of Art, The Great Lakes Science Center and the Rock n' Roll Hall of Fame and Museum. There are unique shopping areas such as Tower City Center and nightlife with dining in the Warehouse District and dining and entertainment on East 4th Street downtown and a concert venue in the "Flats" along the Cuyahoga River. Cleveland's downtown is a center of activity for all ages and just minutes from Brecksville. The world-renowned Cleveland Clinic, University Hospitals and MetroHealth supplement health care provided by nearby community hospitals and immediate care centers. MetroHealth and University Hospitals serve as emergency care facilities for our residents and visitors who require use of our Fire Department's ambulances and staff of professional paramedics and EMTs. The Greater Cleveland area is known worldwide for excellence in health care. Brecksville's wooded hills and ravines that lace the area help define its neighborhoods. As a result, every resident is close to natural beauty that has always been a hallmark of Brecksville living. Many neighborhoods are located next to the Brecksville Reservation of the Cleveland Metroparks and the 33,000 acre Cuyahoga Valley National Park. Brecksville is unique among Cuyahoga County communities because one-third of the City is park land. The Brecksville Reservation of the Cleveland Metroparks offers 2,500 acres of park land with facilities for picnicking, softball, horseback riding, golf, hiking and cross-country skiing. A paved all-purpose fitness trail offers walking, biking, running or strolling by the beautiful scenery. Two ski areas are close by. Brecksville was named a Tree City USA for the 18th consecutive year in 2013. A sense of gracious living prevails from Brecksville's Public Square and its nearby cluster of historic homes along tree-shaded streets, to contemporary developments of single-family homes, to condominium and cluster home complexes throughout the community. Housing in Brecksville offers a mix of sizes, styles and price ranges with colonial and Western Reserve styles predominating. Despite its proximity to major metropolitan attractions, Brecksville maintains its quiet, suburban environment. Retail shopping is concentrated downtown near the Square, and shopping malls in nearby communities complement local merchants.